Puddle splash in quality and style.Hunter boots are made by hand using 28 individual parts and a fine attention to detail. Made of vulcanized natural rubber.Knee-high fit insures that no moisture gets in. Comfort cushioned footbed.Reflective safety patches.Woven nylon lining. Calendered natural rubber outsole for sure footing. 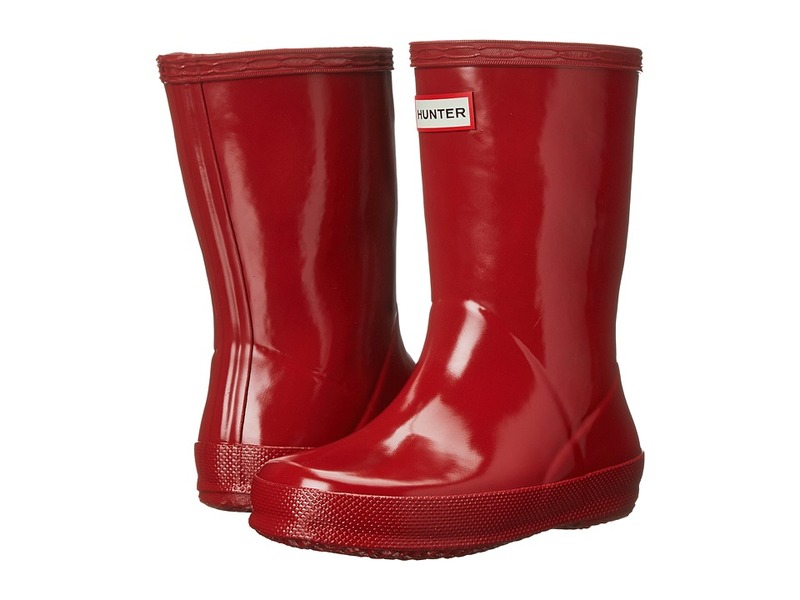 Their first rainboot should be the First Classic from Hunter Kids! Hunter boots are made by hand using 28 individual parts and a fine attention to detail. Made of vulcanized natural rubber.Knee-high fit insures that no moisture gets in. Puddle splash in quality and style. 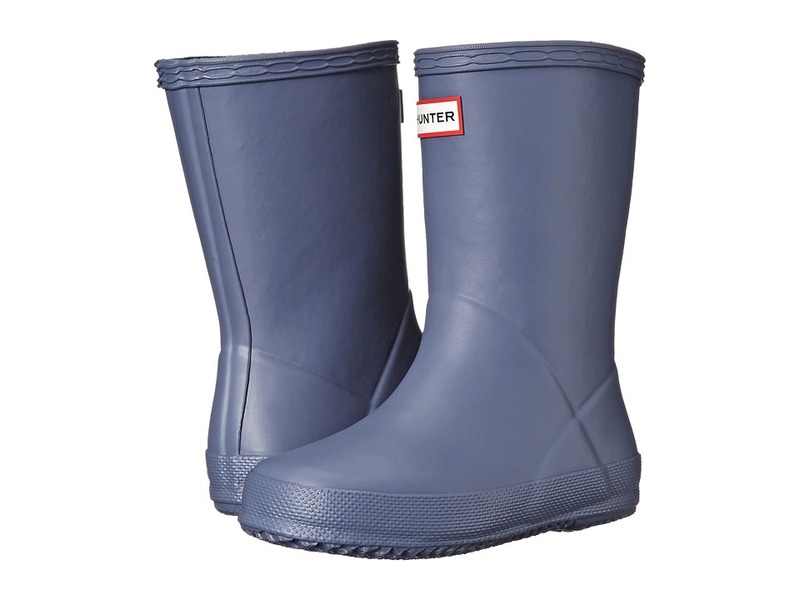 Hunter boots are made by hand using 28 individual parts and a fine attention to detail. Made of vulcanized natural rubber.Knee-high fit insures that no moisture gets in. Comfort cushioned footbed.Reflective safety patches. Puddle splash in quality and style. 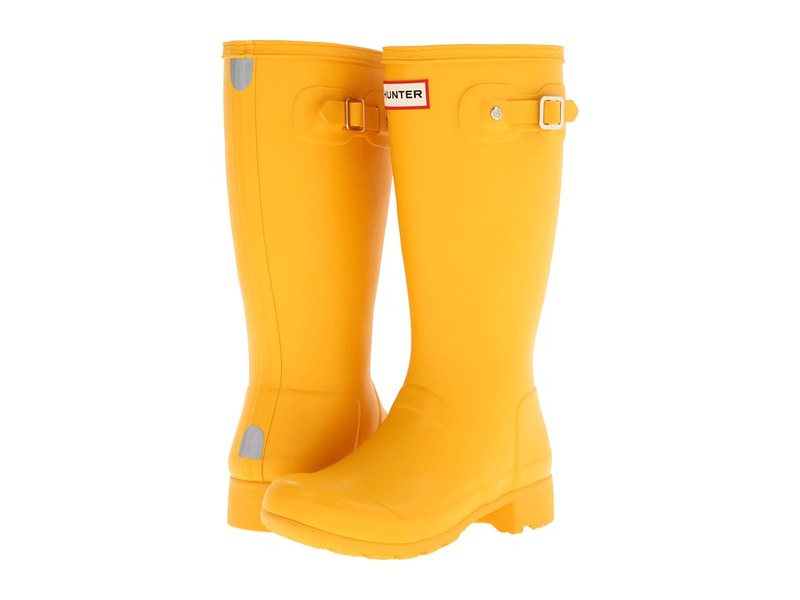 Hunter boots are made by hand using 28 individual parts and a fine attention to detail. Made of vulcanized natural rubber. Knee-high fit insures that no moisture gets in. Comfort cushioned footbed. Puddle splash in quality and style. 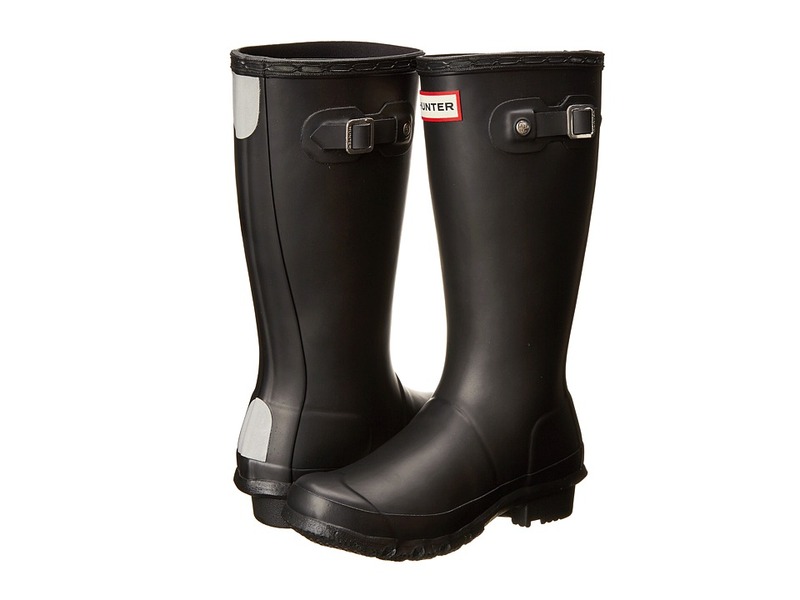 Hunter boots are made by hand using 28 individual parts and a fine attention to detail. Made of vulcanized natural rubber. Knee-high fit insures that no moisture gets in. Comfort cushioned footbed. Reflective safety patches. Woven nylon lining. 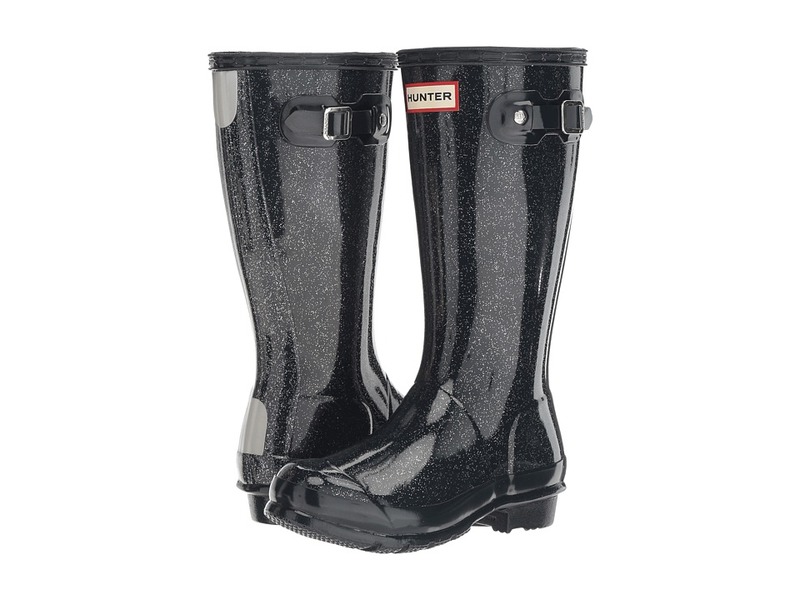 Turn your rainy day frown upside down with the Original Kids Glitter Finish from Hunter Kids. Made of vulcanized natural rubber. 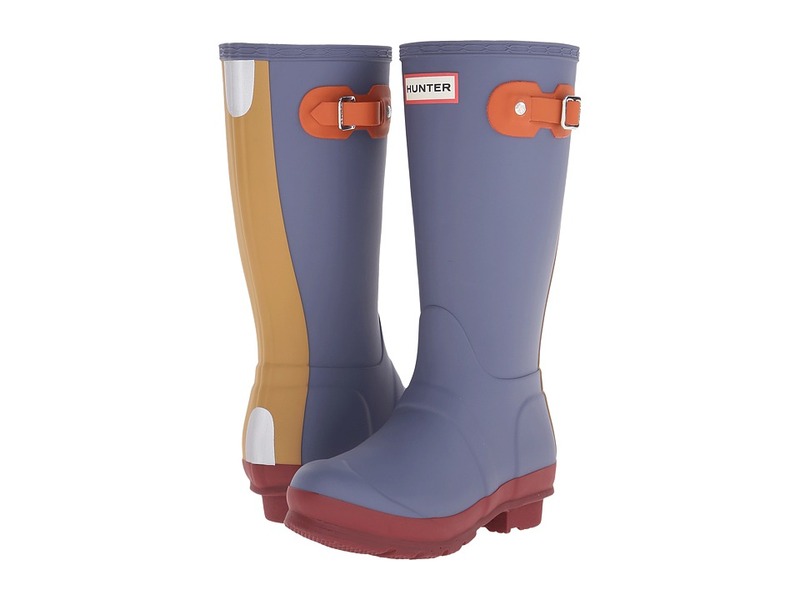 Hunter boots are made by hand using 28 individual parts and a fine attention to detail. Reflective safety patches. . 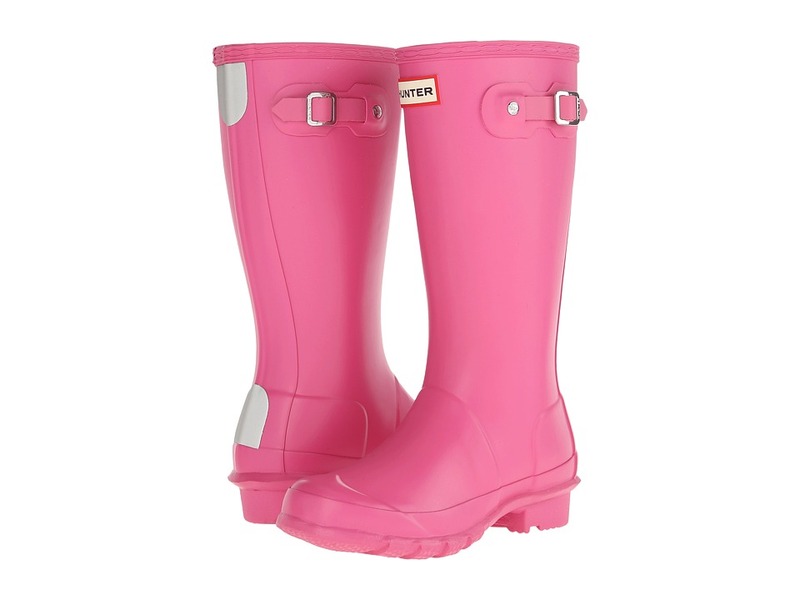 It's cold but their style is hot in the Hunter Kids Original Contrast rainboots! Hunter boots are made by hand using 28 individual parts and a fine attention to detail. Color blocking throughout for added style. Made of vulcanized natural rubber with contrasting-colored sole. Knee-high fit insures that no moisture gets in. Comfort cushioned footbed.